← New for Halloween 2016: Cauldron Skittles! 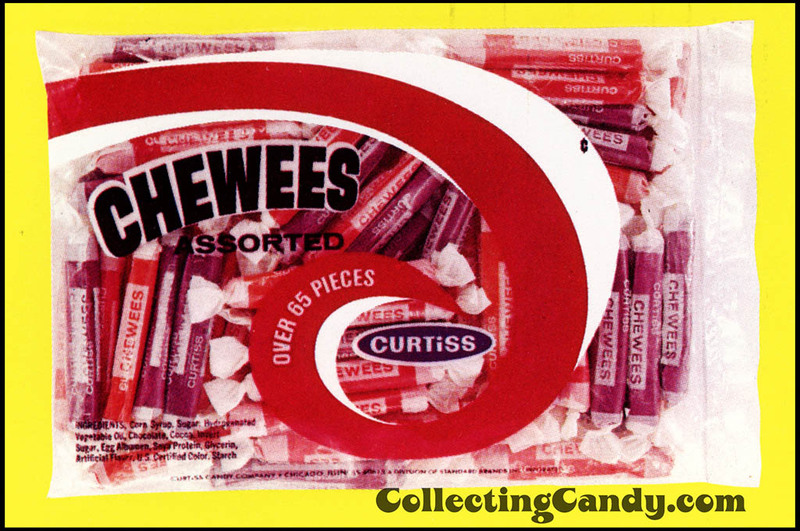 Plus: 2015’s Starburst Halloween Mix!! Climbing out of the deep archives again for today’s entry into the Countdown, we’re going to reach back over four decades. 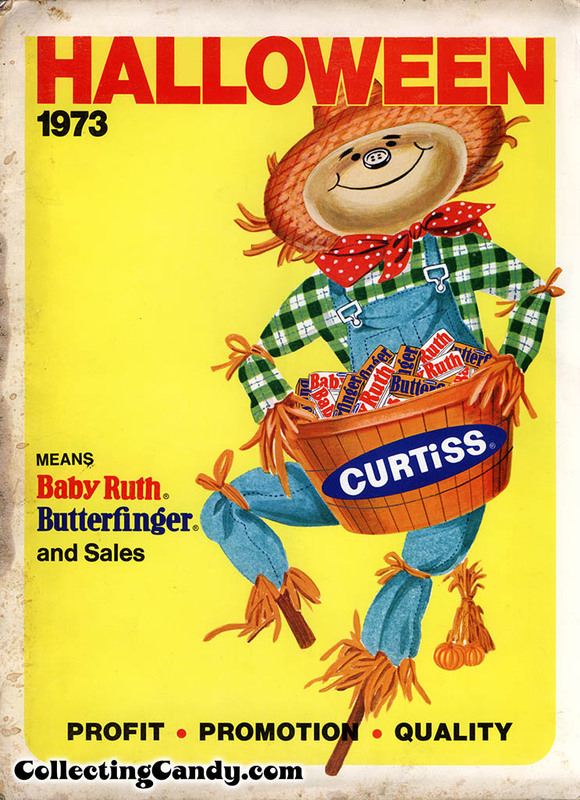 Taking a look at a 1973 Halloween candy sales brochure from the Curtiss Candy Company, best known for their Baby Ruth and Butterfinger bars (now produced by Nestle), I think you’re really going to dig it. Make the jump to check it out. 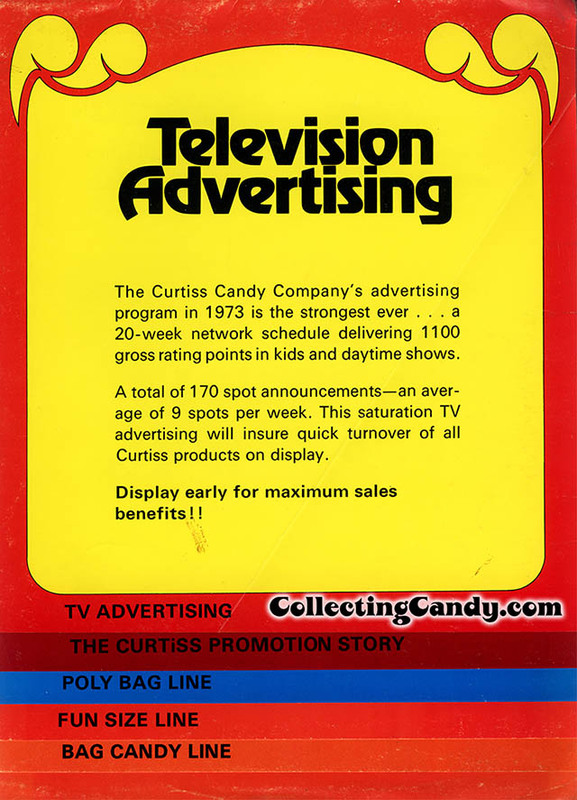 The following over-sized brochure was created primarily for candy salesmen and distributors so most consumers would have never seen it. 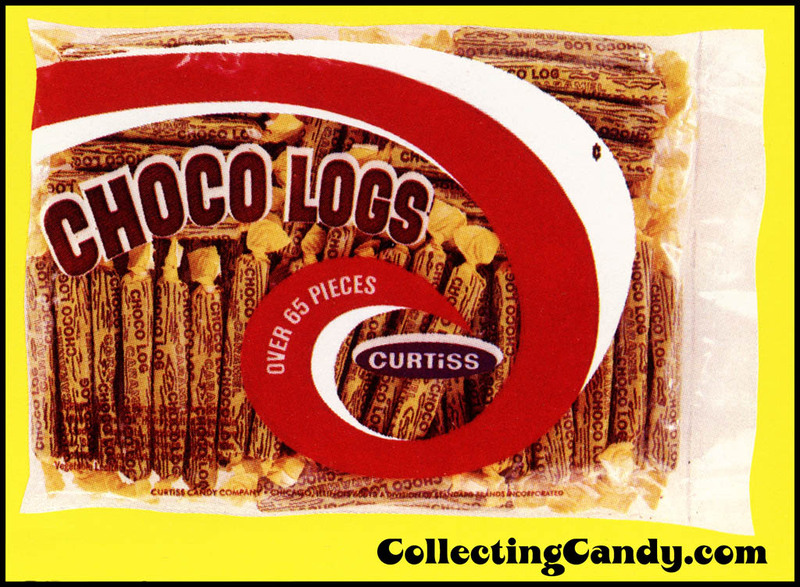 Yet today, it stands as a wonderful artifact and another rare glimpse into our shared confectionery past. 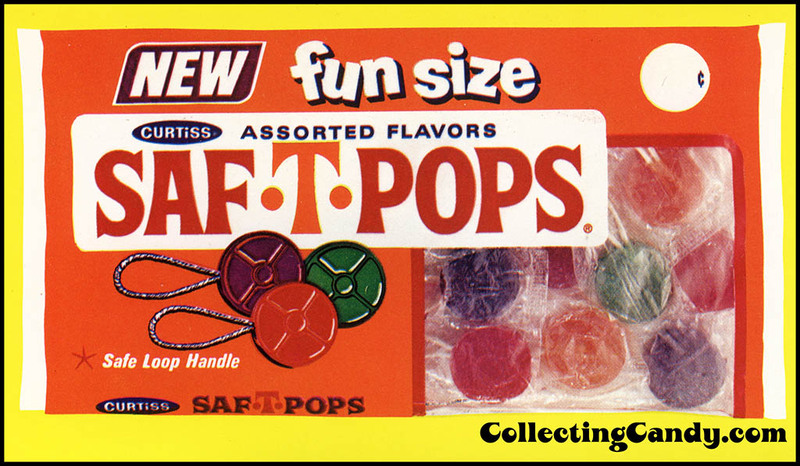 CollectingCandy.com is the only place you’ll find this stuff, so without further ado, lets get to it! The brochure was designed with overlapping pages that would flip up to reveal single tall presentations of promotional product lines. 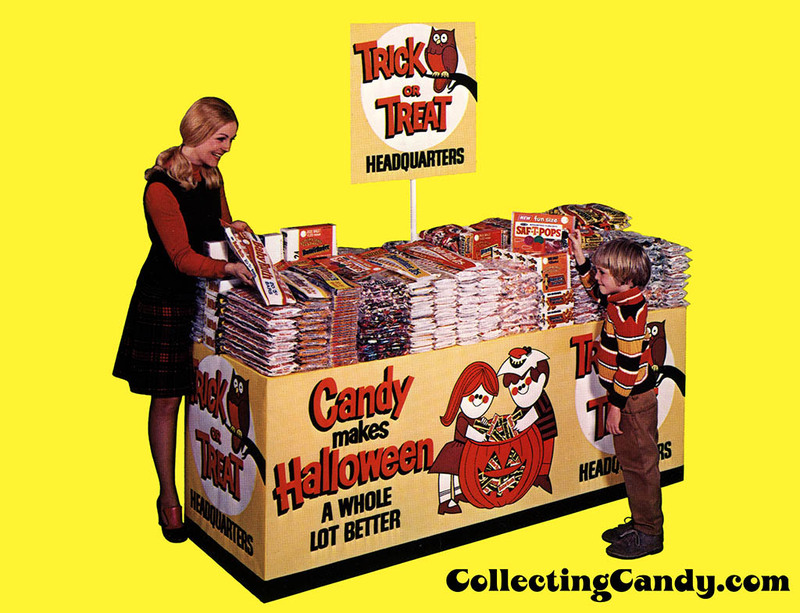 How great is that Halloween candy shopping scene? 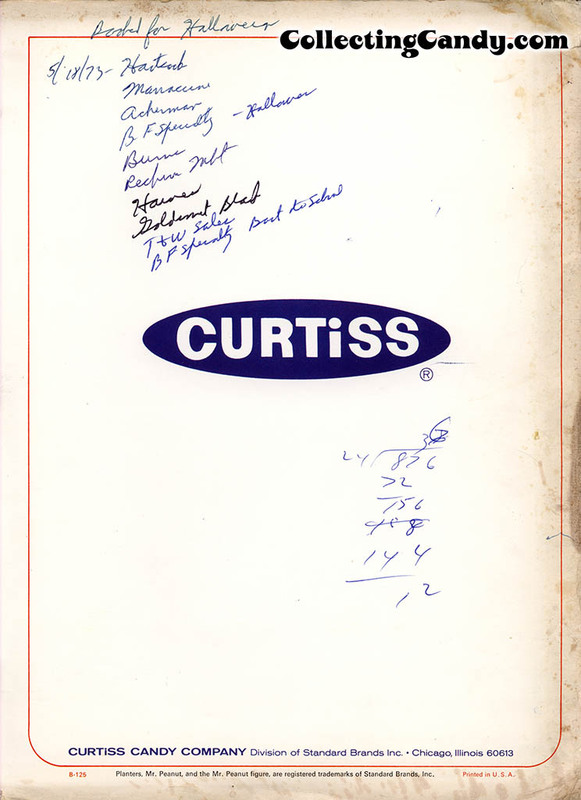 The back inside and outer cover wrap up the brochure with a product ordering table along with some handwritten notes that a distributor or salesman must have made those many years ago. That’s the end of the brochure and that’s everything I’ve got to share on it. It’s a piece I’m so happy to have uncovered and so thrilled to be able to share today for the Countdown. I hope you’ve enjoyed the look. 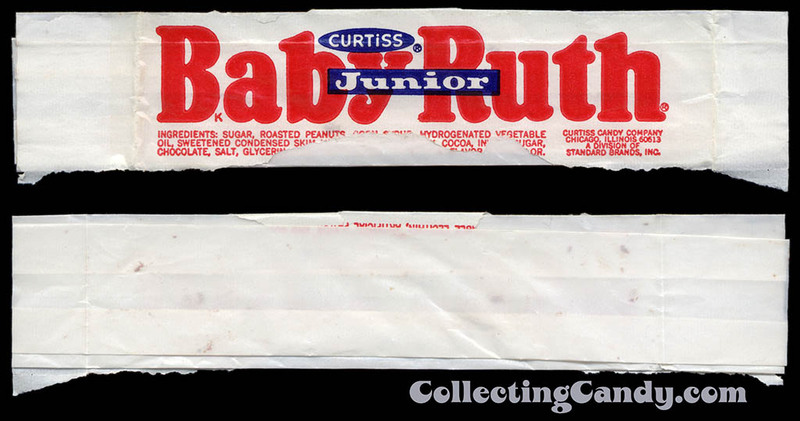 This entry was posted in 1970's, CountdownToHalloween, Halloween, Holiday and tagged 1970's, 70's, 70's candy, Baby Ruth, Butterfinger, candy collecting, candy collection, candy collector, candy wrapper collection, candy wrapper collector, collectible, collecting candy, confectionery, confections, Curtiss, Halloween, Halloween candy, packaging, packaging design, Standard Brands, sweets, vintage candy wrappers, wrapper. Bookmark the permalink. 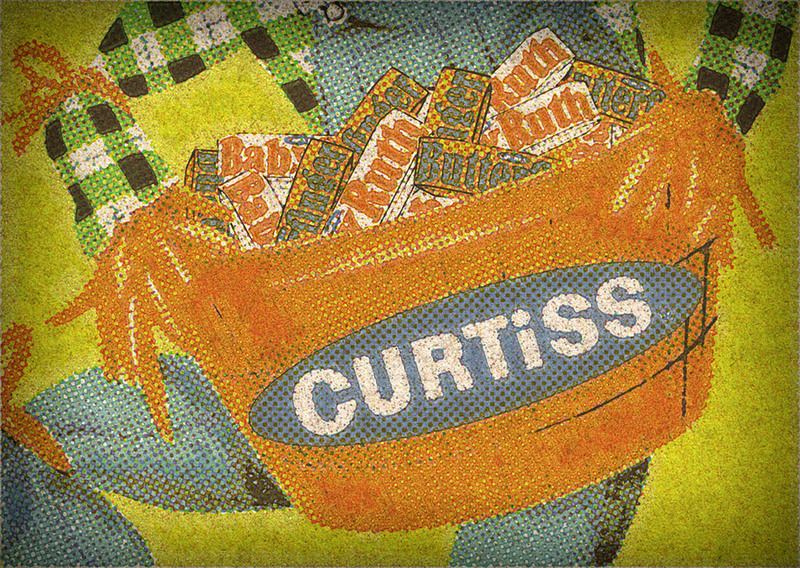 4 Responses to The Curtiss Candy Company’s 1973 Halloween Sales Brochure! 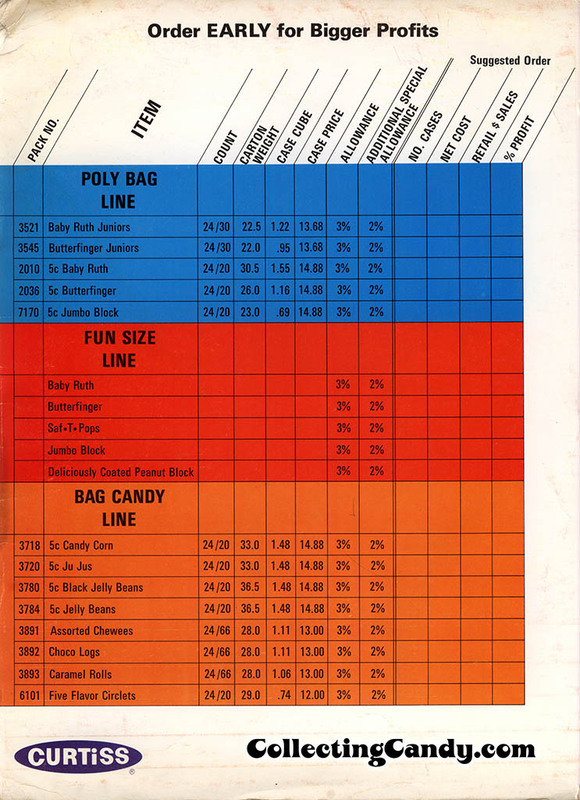 I love these catalogs so much! Thank you for posting them! Thanks for always enjoying them. They’re always challenging to track down but so cool when I do. I suspect that for many of the things pictured, this is the only chance any of us will have to see them. 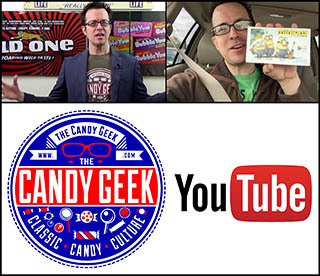 No one offers us a window into the historical world of candy Like Jason Liebig!